Jun 30, 2013 | This post may contain affiliate links. Learn more. Online menswear retailer Bonobos continues to expand its brick-and-mortar presence. On July 20, the startup will open the doors of a permanent guideshop in Bethesda, Maryland, and will also launch in Austin, Texas later this summer. Bonobos first came to Bethesda Row with a temporary menswear guideshop for the holidays in 2012. The new Bethesda outpost will be the second in the Washington, DC metro area, following the opening of a permanent establishment in Georgetown’s Cady’s Alley in the first quarter of 2013. 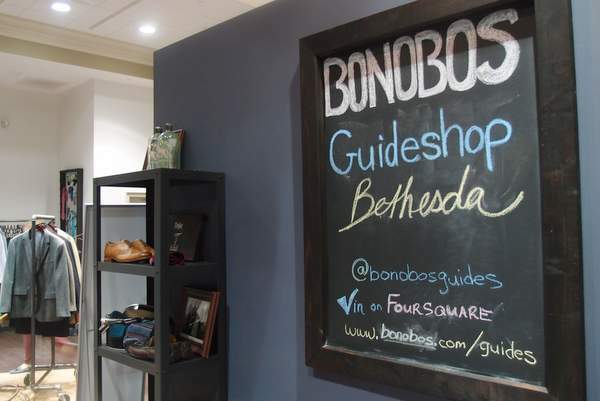 The growth of Bethesda’s guideshops suggests some traction for the showrooming concept. Bonobos, along with eyeglasses e-tailer Warby Parker, are helping to pioneer the inventory-less storefront, where customers can walk in to get to know the brand and product line but can’t walk out with merchandise. In Bonobos’ case, if you like what you see, guides will help place an order that ships quickly to a place of your choosing. The store will once again be located on Bethesda Row, at 4835 Bethesda Avenue. Below is the official announcement.